The research team is led by Hélène Ouellette-Kuntz at Queen’s University in Kingston, Ontario. 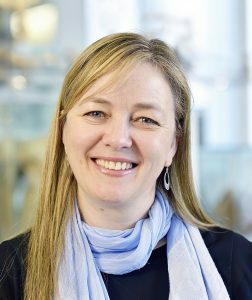 She is supported by three other core members based at the University of Ottawa (Virginie Cobigo), Queen’s University (Rosemary Lysaght) and Lakehead University (Lynn Martin). Dr. Ouellette-Kuntz is a Professor in the Departments of Public Health Sciences and Psychiatry at Queen’s University. She also works as an epidemiologist at Ongwanada, an agency serving persons with intellectual and developmental disabilities (IDD) in Southeastern Ontario. 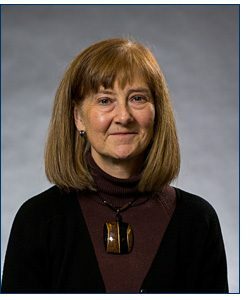 With over 25 years of collaborative research and teaching experience in the field of IDD in Ontario, Dr. Ouellette-Kuntz has contributed to enhancing understanding of quality of life, health and social disparities, person-directed planning, the experiences of families, and aging among persons with IDD. 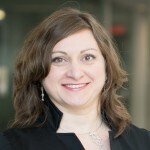 Dr. Virginie Cobigo is an Associate Professor in the School of Psychology, University of Ottawa. She is also a Clinical Psychologist and a Senior Researcher at the Centre for Research on Educational and Community Services (CRECS). She has 15 years of experience working with persons with IDD in Canada, France and England. Her research supports evidence-based practice and informed decision-making to promote the social inclusion of persons with IDD. She works with service agencies to support them in building their capacity to monitor outcomes and use evidence for decision-making. She is also contributing to the sector through her membership in the Regroupement des partenaires francophones, training sessions offered through La Resource to agencies staff throughout the province, and workshops offered to the Mouvement Personnes d’Abord in Ottawa. Dr. Rosemary Lysaght is Associate Director (OT) for the School of Rehabilitation Therapy at Queen’s University and an Associate Professor in the Occupational Therapy Program. Her primary research focus relates to work participation and social inclusion of persons who experience social exclusion, particularly those with intellectual and mental health disabilities. For almost 20 years she has been leading research and evaluation studies in Canada, the U.S., and internationally and studied both traditional and non-traditional models for promoting work and productivity. As a practitioner, Dr. Lysaght has worked with persons living intellectual disabilities, serious mental illness, work injuries, and other challenges in programs addressing employment, inclusion and community living. Dr. Lynn Martin is Chair and an Associate Professor in the Departments of Health Sciences at Lakehead University. She is a Fellow of interRAI, an international collaborative that seeks to improve the quality of life of vulnerable persons through use of a seamless, comprehensive assessment system. She was on the Chief Editorial Board for the Journal on Developmental Disabilities from 2007 to 2015, and is currently on the Ministry of Community and Social Services’ Evaluation Advisory Committee for the Independent Facilitation Demonstration Project. Dr. Martin’s research focuses on health, service utilization, and outcomes of vulnerable populations across health and social service settings. Current projects focus on issues related to aging among adults with intellectual and developmental disabilities; person-directed planning; and the implementation of the interRAI ID, a comprehensive assessment of the strengths, preferences, and needs of adults with intellectual and developmental disabilities in various jurisdictions worldwide.